The bubble tea trend is one of the best things that’s happened to Mississippi cafes in a long time. 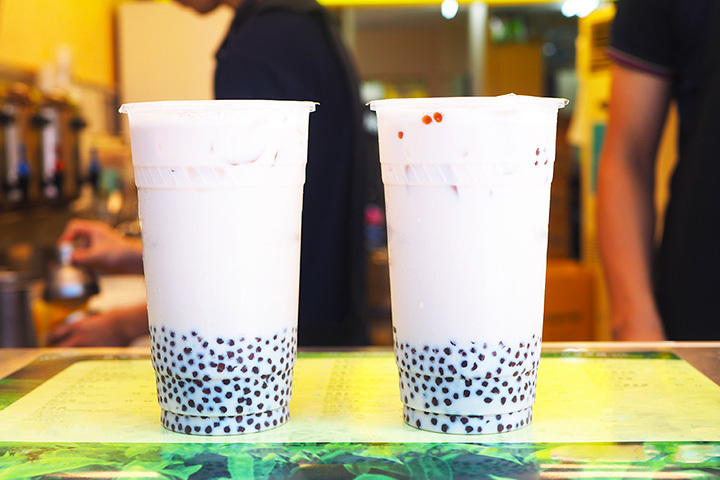 Originally started in Taiwan, this fruity tea-based beverage comes in a variety of flavors, and is most notably recognized by the chewy little tapioca balls that decorate the bottom. The result is a drink that’s unlike anything you’ve ever tasted. You can try this one-of-a-kind creation at these best places for bubble tea in Mississippi, but be warned—it might just become your new go-to favorite. There’s no better place to grab a bubble tea than from somewhere that specializes in the cuisine where the drink originated. Quickly grew its roots in Taiwan and chose Mississippi as its first U.S. location. Here you’ll get an authentic bubble tea experience that tastes just as good as though you ordered it straight from Taiwan. If you’ve never tried bubble tea before, this place gives you the best beginner’s experience. Perhaps the best fusion of the traditional coffeehouse and the Taiwanese bubble tea experience, this place has something for every appetite. This award-winning coffee shop features a full flavor list to help you craft your ideal bubble tea, whether you prefer Thai Iced tea, green tea, or Taiwanese iced black tea. Pair your drink with a hot panini, wrap, or sandwich, or enjoy it a la carte—there’s no shortage of options here. Stepping inside this cozy little cafe is a like a trip down the rabbit hole. Themed after Alice in Wonderland, you can expect a magical bubble tea experience alongside tasty eats like the Queen's charcuterie board and fanciful milkshakes. It's equal parts filling and inspiring, and you'll want to stay awhile to enjoy this one-of-a-kind atmosphere. Bubble tea is the unsung hero at this frappe and smoothie joint. Their fans agree no one can match them on flavor or quality. It’s a bit tucked away, but definitely well worth the search if you’re jonesing for a bubble tea (or any other refreshing beverage).